Nepal is the most beautiful and stunning Himalayan country lying on the southern slope of the Himalayas and is landlocked by India and China. Within the area of 147181sq km, Nepal has an altitude that stretches from 70m to 8848m (the top of the world) above the sea level. Geographically, it is divided into three regions: the Himalayan region, Hilly region and Terai (plain region with sub tropic al climates). 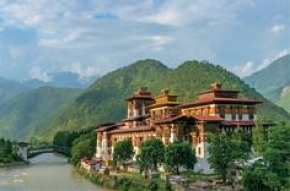 The nation is also known as the hidden Shangri-La that is a color combination of natural beauty, cultural heritage, artistic and historical shrines and monuments, friendly and smiling citizens, flora and faunas, different climatic zones with varied landscapes.